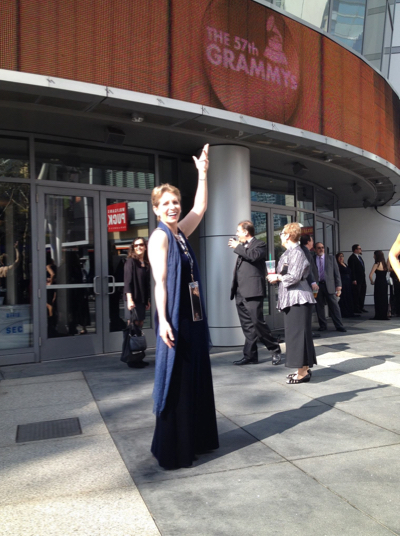 Bookmark this page and check back for the latest happenings with harpist Anne Roos. Connect with Anne on social media and keep in touch with her on Facebook, Twitter, and Google+. Share photos and videos that you take of Anne via direct message and email, and if she posts them on her website, she’ll send you a CD of your choice or tickets to her next performance! Anne Roos wins the Couple’s Choice Award for the 7th Year in a Row! January 8, 2019, weddingwire.com—For the seventh consecutive year, harpist Anne Roos received the 2019 WeddingWire Couple’sChoice® Award! 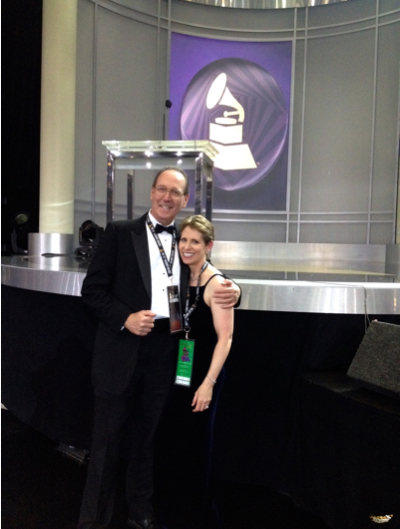 Anne is thrilled and thanks all her past clients whose glowing reviews made this award possible. "We are celebrating our 11th annual Couples' Choice Awards, where we honor our vendors who help make millions of couples' big day one to remember," said Timothy Chi, CEO, WeddingWire. Not only are these distinguished wedding professionals, such as harpist Anne Roos, a fundamental part of the wedding planning process for engaged couples, but they help make WeddingWire a trusted source for wedding planning. We congratulate everyone on this well-deserved achievement." As a Couples’ Choice Awards® winner, Anne Roos is recognized among the top 5% of local wedding professionals from the WeddingWire Network throughout North America and abroad. 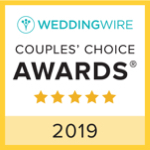 Unlike other awards in which winners are selected by the organization, the WeddingWire Couples' Choice Awards® are awarded solely based on the reviews from real newlyweds. Award winners demonstrated excellence in professionalism, responsiveness, service, and quality when interacting with the five million monthly consumers who turn to Wedding Wire to help with wedding planning..
Harpist Anne Roos is honored to be one of the top wedding businesses on WeddingWire.com. For more information about the Couples’ Choice Awards®, visit www.weddingwire.com. View Anne’s wedding profile on weddingwire.com and read the reviews. To receive valuable harp music information for your upcoming wedding, visit Anne Roos' wedding section on her official website..
Anne Roos Wins Harpist of the Year Global Wedding Award! October 8, 2018, United Kingdom, UK--Harpist Anne Roos is LUXlife Magazine Global Wedding Awards Wedding Harpist of the Year 2018 for the USA, With this award, Anne Roos is recognized for her ongoing commitment to providing top service to her clients. The LUXlife Global Wedding Awards reveal the brightest and best businesses from across the wedding industry, businesses that create unique experiences that their clients will treasure forever. Anne is tickled to receive this distinction. The awards process is rigorous, and only the cream-of-the-crop rise to the top to receive the ultimate LUXlife Magazine Global Wedding Award distinction. Initially, the voting form is posted live on the LUXlife website for just over three months to their readership base of over 230,000 worldwide. Winning nominees must display to an independent judging panel evidence of their focused expertise, dedication to customer service and client satisfaction, and an ongoing commitment to excellence and innovation. 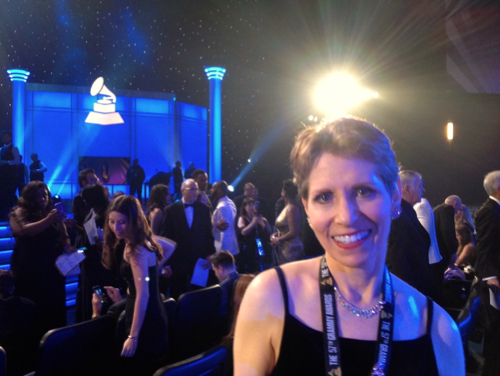 After reviewing Anne Roos’ online information--performance history, wedding services, article written, press releases, music reviews, images and samples of her work, client testimonials, and more—the judging panel presented Anne the Wedding Harpist of the Year 2018 Global Wedding Award for her work in the USA! Discover why LUXlife bestowed this recognition to harpist Anne Roos—Read her bio, visit the wedding section on her website, read her 5-star performance reviews, and sample her music and videos. Then reach out to her to get the luxury treatment for your wedding at 530-541-2575 (U.S. Pacific Time Zone). You can even text her using her handy online contact form. 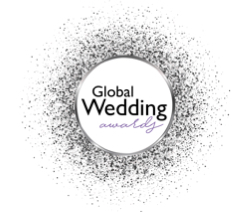 Read LUXlife’s official press release covering their Global Wedding Awards for 2018. Published quarterly, LUXlife informs readers on all aspects of high-end lifestyle. View all their worldwide award categories. For more information, email Laura Hunter or phone her at +44 (0) 203-970-0029 (United Kingdom). September 8, 2017, South Lake Tahoe, CA--Harpist Anne Roos announces her new, gorgeous 2-CD album, "Blue Jeans & Velvet: Pop Solos on the Celtic Harp" is now available on Amazon.com, iTunes, and CDBaby.com. This collection of nearly 50 songs, previously released as separate albums, always belonged together as a set of cherished standards and cool pop. In this stylish art deco package, Anne's fans now have a keepsake containing their fondest musical memories. The tracks are representative of the most requested songs from Anne Roos' huge repertoire. On the Blue Jeans disc, enjoy renditions of rock and pop hits that you'd never expect to hear performed on the Celtic harp. On the Velvet disc, revisit your music from your favorite movies, animated films, and Broadway classics. Order today on Amazon.com, and your purchase will begin shipping September 22nd. Anne Roos' "Blue Jeans & Velvet" 2-CD collection will be available from additional retailers soon, just in time for holiday gift-giving. Place your phone order at 530-541-2575 and make purchases through Anne's Facebook Merchandise Store for personalized autographed copies. 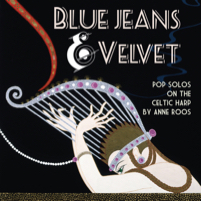 For wholesale orders, contact Anne's CD distributor, Clay Pasternack, Inc., to get "Blue Jeans & Velvet: Pop Solos on the Celtic Harp" on your shelves in time for your holiday shoppers. Contact Anne directly to receive individually autographed albums for your customers. 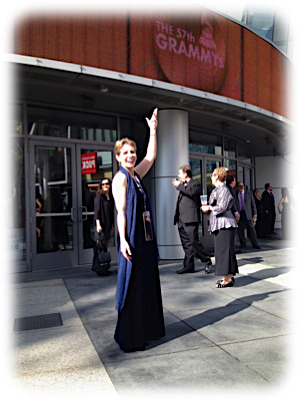 February 8, 2015, Los Angeles, CA—“Winds of Samsara” wins the Grammy® Award for Best New Age Album at the 57th Annual Awards! Harpist Anne Roos performed on track #8, “Eyes of Wonder”. This beautiful album, featuring over 120 artists from around the world, was conceived and created by keyboardist and composer Ricky Kej with flutist Wouter Kellerman. This musical tribute to Mahatma Ghandhi and Nelson Mandala continues to top the Billboard Charts in New Age Music sales. Purchase your copy on Amazon.com and buy downloads on iTunes. “I’m very grateful to Ricky Kej and Wouter Kellerman for inviting me to be part of this beautiful album,” says Anne. She also thanks her friend and recording engineer, Michael Eardley, of Tanglewood Productions, for his fine work on this project. 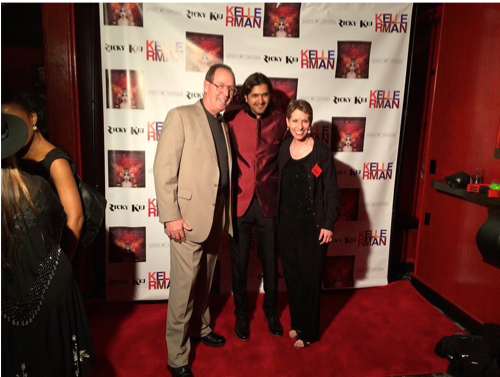 Anne Roos is continuing to work with Grammy® winner Ricky Kej on future projects. Be a part of Anne’s upcoming recordings—You can donate to help fund Anne’s upcoming recording fees securely through PayPal with the credit card of your choice. Update: May 9, 2015, New Orleans, LA—“Winds of Samsara” wins for “Album of the Year” and “Best World Album” at the ZMR (Zone Music Reporter) Awards, voted on by radio broadcasters and music reviewers from around the world. Congratulations again to Ricky Kej and Wouter Kellerman!